The Opuntia genus has high diversity and wide distribution in Mexico; it has fruit (1) with thin skin and seeds surrounded by sweet and abundant pulp, (2) with thin skin and seeds surrounded by scarce or null pulp, known as dry fruits, (3) with thick, succulent, acid and edible peel, with seeds surrounded by sparse pulp, known as acid prickly pear or “xoconostle”, and (4) with intermedial characteristics between 1 and 2 types, and named “xocotuna”. The aim of this study was to characterize the fruits and seeds of 114 variants from 17 cactus species (Opuntia, Cactaceae) collected in the Mexican Plateau. The biomass of the skin, pulp and the normal and aborted (dehydrated) seeds from fruits of those variants and species obtained from 347 collects, from the Southern High Plateau of Mexico, were determined; as well as total soluble solids content (°Brix) in the pulp and quantified the length, width, and thickness of the seeds, the total number of normal and aborted and the hardness of the normal ones. The sampling units were 347 collects, with six repetitions per variant and one fruit as an experimental unit. The statistical treatment of the data included Pearson correlation analysis, principal component analysis (PCA) and conglomerates. The fruit biomass and number of aborted seeds were the most important variables according to the PCA and separated the species and variants according to a gradient. 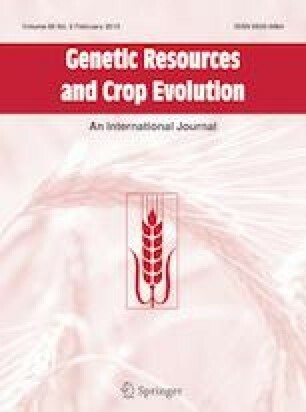 In the classification, the tendency to higher content of aborted seeds was observed in Opuntia albicarpa and Opuntia ficus-indica, species from much humanized environments and with the highest degree of domestication. The home gardens or backyard environment concentrated the greater Opuntia variant diversity. The pulp biomass is closely related to the proportion of normal and aborted seeds. The online version of this article ( https://doi.org/10.1007/s10722-018-0712-8) contains supplementary material, which is available to authorized users.